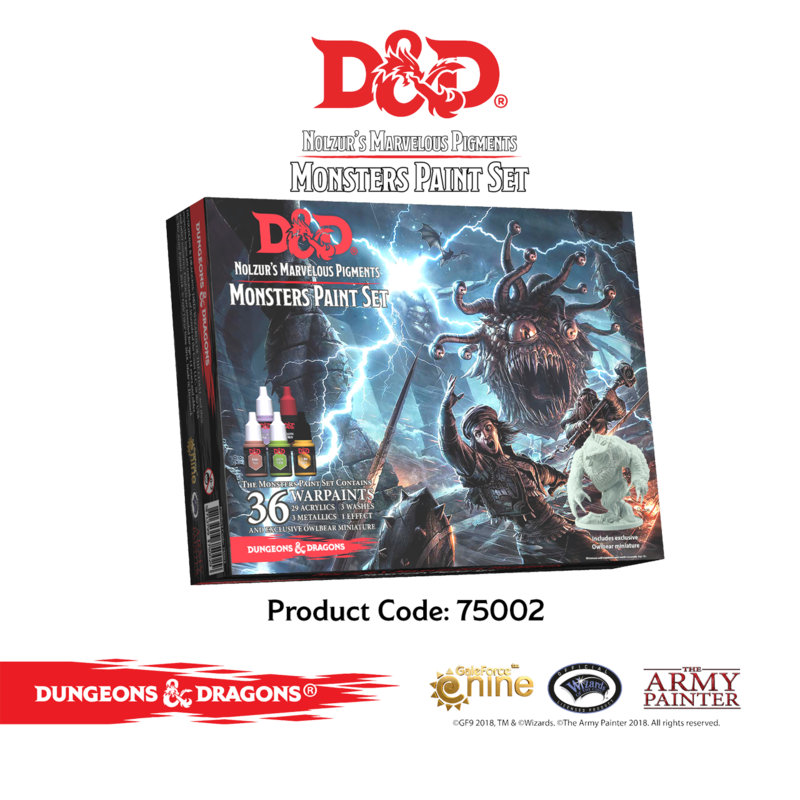 This official Dungeons & Dragons set of Marvellous Pigments will offer you a perfect palette to painting the many and varied monsters from the Monster Manual™ and it comes with a free, and exclusive Owlbear miniature to get you started. Miniature may requires assembly. 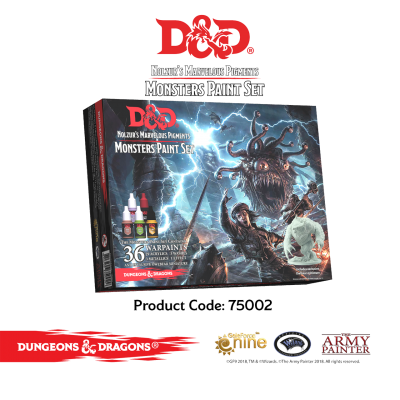 This official Dungeons & Dragons set of Marvellous Pigments will offer you a perfect palette to painting the many and varied monsters from the Monster Manual™ and it comes with a free, and exclusive Owlbear miniature to get you started. 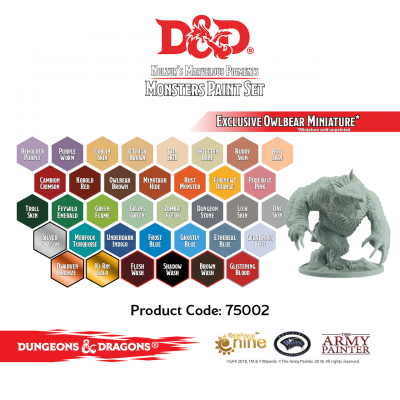 Miniature may require assembly. 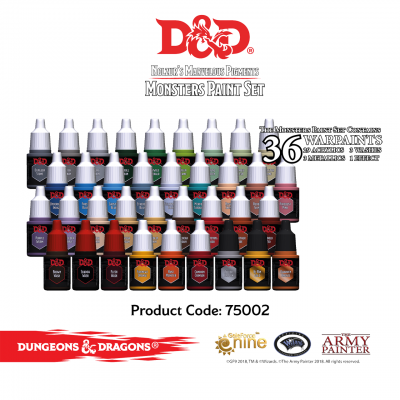 Includes 36 12ml paint bottles.